Calgary Search Engine Optimization Agency, EMethod Inc., Launches A New Website Setting A New Standard In The Digital Marketing Industry! A premiere provider of digital marketing needs, EMethod helps clients harness the power of the Internet. CALGARY, July 7, 2015 /CNW/ - Dave Vass, owner and CEO of Calgary digital marketing agency, EMethod (www.Emethod.ca), announced that the firm has launched its new website and promotions to celebrate the event. The digital agency is offering a reduced rate for web marketing consultations and introducing ClickHook, a division of EMethod, an end-to-end digital marketing system that encompasses marketing, branding, lead management, and design and development. "It's easy to apply for a service quote online," said Vass. The digital marketing agency offers consultations on multiple website aspects that include web design and development, branding, web app and mobile app development, graphic design and SEO (Search Engine Optimization). The firm provides individuals with information on ways to improve their website performance utilizing SEO, content management, pay-per-click campaigns, link building and social media. The EMethod marketing specialists and the informed client can then choose the best digital marketing strategies that fit their business' needs and budget. From there, EMethod will implement strategies and track the return on investment. The focus of SEO is to make websites appear on the first page of search results through the use of industry related keywords to the business at hand. It is estimated that more than 50% of consumers conduct a keyword search with a smartphone for the products and services they want, but few look beyond the first page of results. EMethod Calgary creates mobile friendly websites designed to enhance visibility and promote branding by appearing high in search results. Companies that appear on the first page of search results are perceived as more desirable, reputable and professional. EMethod utilizes multiple techniques to improve search engine rankings, resulting in more customers, targeted leads and better branding. The entire process is performed and managed by the SEO experts at EMethod to achieve local, nationwide and worldwide marketing goals. The digital marketing specialists can also assist clients that have experienced Google penalties. The realm of SEO is constantly changing and evolving. EMethod optimizes code, content and provides SEO analytics that enables clients to see exactly how their website is performing. Underperforming websites are one of the most common problems facing businesses that want to grow. EMethod also offers ClickHook free of charge to all of its SEO clients. ClickHook is a lead management and organization tool that assists clients with lead acquisition. The launch of EMethod Calgary's new website provides business owners with the professional expertise, information and tools they need to build brands, improve visibility, and generate leads for new client acquisition. The agency offers services that provide one of the best returns on investment and reaches targeted customers across multiple channels. For more information, call 403-978-1914 or visit EMethod online. 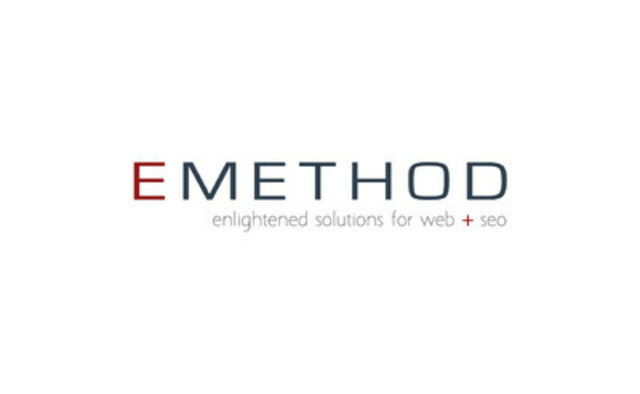 EMethod was founded in 2010 as a one-man company and five years later it has become a full-fledged digital marketing agency with an elite team of digital marketing specialists and clients spanning North America.